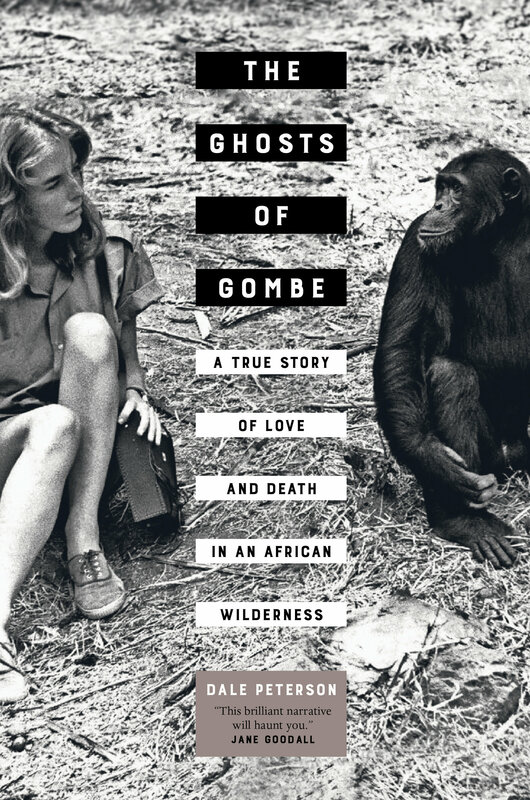 On July 12, 1969, Ruth Davis, a young American volunteer at Dr. Jane Goodall’s famous chimpanzee research camp in the Gombe Stream National Park of Tanzania, East Africa, walked out of camp to follow a chimpanzee into the forest. Six days later, her body was found floating in a pool at the base of a high waterfall. With careful detail, The Ghosts of Gombe reveals for the first time the full story of day-to-day life in Goodall’s wilderness camp—the people and the animals, the stresses and excitements, the social conflicts and cultural alignments, and the astonishing friendships that developed between three of the researchers and some of the chimpanzees—during the months preceding that tragic event. Was Ruth’s death an accident? Did she jump? Was she pushed? In an extended act of literary forensics, Goodall biographer Dale Peterson examines how Ruth’s death might have happened and explores some of the painful sequelae that haunted two of the survivors for the rest of their lives. Dale Peterson is the author or editor of twenty books, including Jane Goodall: The Woman Who Redefined Man, Demonic Males: Apes and the Origins of Human Violence (coauthored with Richard Wrangham), The Moral Lives of Animals, and Eating Apes. Dale Peterson, who writes books about nature, evolution, animals, and people who work with animals, worked on a new book as a fellow at the Radcliffe Institute. Here he discusses the focus of that book, which takes places at Jane Goodall’s research site from 1967 to 1969. Peterson is interested in the complex social relationships that developed among the people working in this isolated piece of African forest and the surprising relationships that emerged between some of the people and the animals they studied.